The most solid lead from overseas market was a 0.5% gain in the FTSE 100. Elsewhere, markets were mixed with the Dow fluctuating in and out of positive territory. A further plunge in the oil price weighed on US markets and there was also volatility within the financial sector. However, the NASDAQ continued its strong run, hitting an all-time high of 5564 points before closing in the vicinity of 5550 points. Australian markets are likely to be most affected by movements in commodity prices with the fall in crude continuing to place pressure on energy stocks after the likes of Woodside Petroleum, Santos and Oil Search experienced significant share price declines yesterday. The other key theme to be played out relates to mining stocks after a surge in the iron ore price overnight, continued gains in gold and silver, as well as good gains in copper, nickel, zinc and lead. A circa 3% gain in copper which saw it push up towards US$2.60 per pound, combined with positive sentiment towards gold should see copper gold stocks perform well. 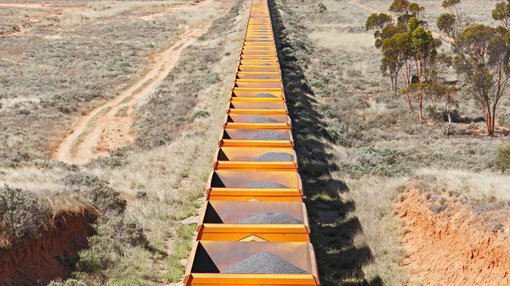 Sector heavyweights, Newcrest Mining and South32 could be well supported with the likes of Sandfire Resources and Oz Minerals also likely to come under the spotlight. Diversified gold and base metals play, Independence Group, could also be targeted. In the iron ore space it will be the big three that should experience support. Both Rio Tinto and BHP were up strongly in overseas markets overnight and one would expect Fortescue Metals Group to also be targeted today. The Australian dollar only strengthened slightly against the US dollar, and is now hovering in the vicinity of US$0.736, suggesting recent support for Australian commodity producers should be sustained. On the domestic front, analysts will be crunching the numbers on November retail sales data released by the Australian Bureau of Statistics yesterday. The immediate reaction was poor, particularly towards consumer discretionary stocks, evidenced by a 1.5% decline in the S&P/ASX 200 Consumer Discretionary index (XDJ). Building on this theme, food was one of the few casualties resulting in the Consumer Staples index remaining relatively resilient. Wesfarmers actually gain ground on a day in which the broader market came off substantially and the S&P/ASX 200 Consumer Staples index (XSJ) was only off 0.5%. However, one area that performed well in the Consumer Discretionary sector was the clothing, footwear and personal accessory segment with a gain of 1.7%. This could draw attention to Australia’s largest ASX listed specialist footwear group, RCG Corporation. Note that broker projections and price targets are only estimates and may not be met. Also, historical data in terms of earnings performance and/or share trading patterns should not be used as the basis for an investment as they may or may not be replicated. Those considering this stock should seek independent financial advice.